If you’ve got older children and you’re looking for something to spice up the ski season, the upcoming Engadin Skimarathon is another major event on the alpine skiing calendar that’s guaranteed to fit the bill. This March sees the 48th edition of this exciting annual cross-country event held in the Upper Engadine Valley, in Switzerland. In addition to the 42 km full marathon, the programme, which attracts more than 13,000 participants from over 50 countries, includes a number of other events to encompass various levels of competition. While it’s not suitable for very young skiers, if your children are slightly older and up for some healthy competition, there’s plenty of fun to be had for everyone. 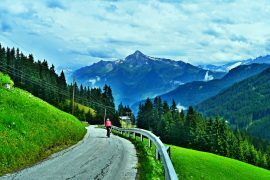 The full 42 km course begins at Maloja, which sits at an altitude of 1820m, and descends to S-chanf at 1670m. First qualification groups are scheduled to start at 8:30 am with the remaining groups on staggered starts until 9:23 am. ***Included in the cost of registration, Engadin Bus is running special services to take competitors from St Moritz to the start line at Maloja. Requests for starting blocks must be received by February 26th and can only be completed online. Registration €133 before March 1st and €152 thereafter. Late registration only possible at the race office in St Moritz until 5pm March 12th. This is the ninth year of the running of the 21km half marathon course in Skimarathon. The half marathon commences with the field of the full marathon at Maloja at 1820m and finishes in Pontresina, at an altitude of 1770m. Elite qualification starts at 8:30 am with the remaining elite, main and general classes on staggered starts until 9:23 am. Qualifying: Qualification for the half marathon is the same as for the full marathon above. Registration €110 before March 1st and €129 thereafter. Open to anyone born 1999 and before, no racing licence required. For children under 16, there’s no need to stand by on the sidelines and watch everyone else have all the fun. The Youth Sprints provide a fun and fair way of getting younger children into the spirit of the competition. The fastest six girls and boys from the under 14 and under 16 categories will qualify for the Night Sprint in St Moritz on March 11th. Scheduled for after the Youth Sprints but before the serious full and half marathon events, the Night Sprint is the perfect opportunity for some family bonding time out on the snow. Alongside the racing schedule there are also a host of other family friendly activities to fill the in-between times. Almost as exciting for spectators as it is for participants, the Night Sprint is a fun event for seasoned pros as well as categories for the winners of the Youth Sprints. Held in St Moritz-Bad, on the track that leads through the Marathon Village, the race is fast, furious and a whole lot of fun! Even if not every member of the family qualifies, the atmosphere of the race itself and the after party make it inclusive for everyone. Open to all ages over 16 as well as qualifiers of Youth Sprints under 14 and under 16 categories. Race commences at 6:00 pm. Entertainment with DJ’s and after party. The Engadin Ski Marathon is a fantastic family ski event with opportunities for even younger children to get involved at competition level. As well as the programme of cross-country ski events, there are a number of other activities and events to be held in Samedan and St Moritz-Bad, culminating in the Marathon Party at the finish line after the full marathon. If you’re planning on treating the family to a week at the Engadin Skimarathon, the logistics are easy. 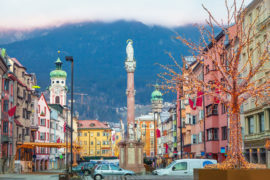 Cheap flights from Gatwick, in the UK, to Innsbruck start from around £52, with a number of budget carriers offering great deals even at peak season. 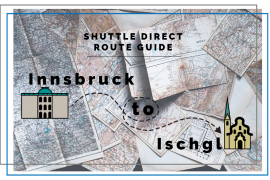 When you land, the easiest and fastest way of getting to St Moritz is with a shared or private Innsbruck airport transfer from Shuttle Direct. 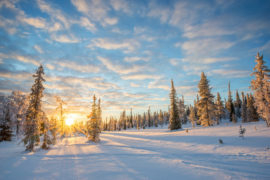 The driver will meet you at the airport and transport you and all your ski equipment the picturesque two and a half hour drive to the door of your accommodation in St Moritz. 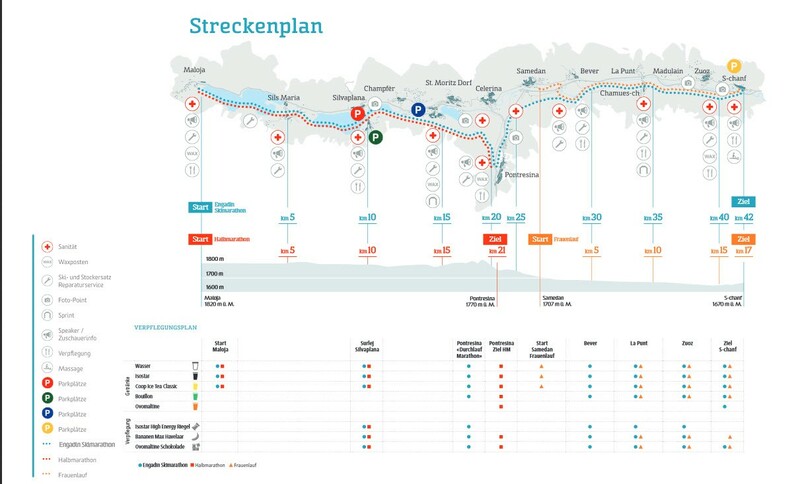 You can also make the journey from Innsbruck to St Moritz by public transport, although it will take a lot longer. 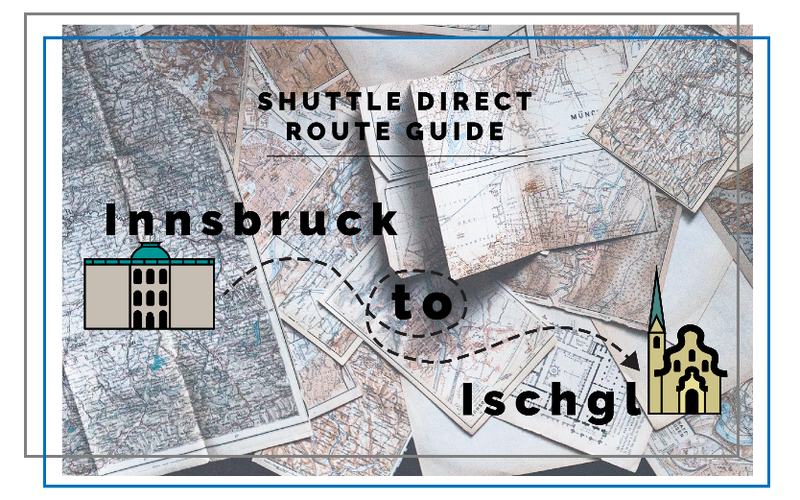 From the centre of Innsbruck you can travel by rail with two changes (Sargans and Landquart), taking around six hours. There is also a bus service from the city via Livigno and Pontresina, which takes around seven hours. For the duration of the Skimarathon, included in your event registration is complimentary use of the Rhaetian Railway train service to get you to and from your accommodation in St Moritz or Samedan, and there’s also a special Skimarathon service on race days, provided by Engadin Bus services. Header image: “ST. MORITZ – TOP OF THE WORLD” by Ethreon. Licensed under CC BY 2.0.